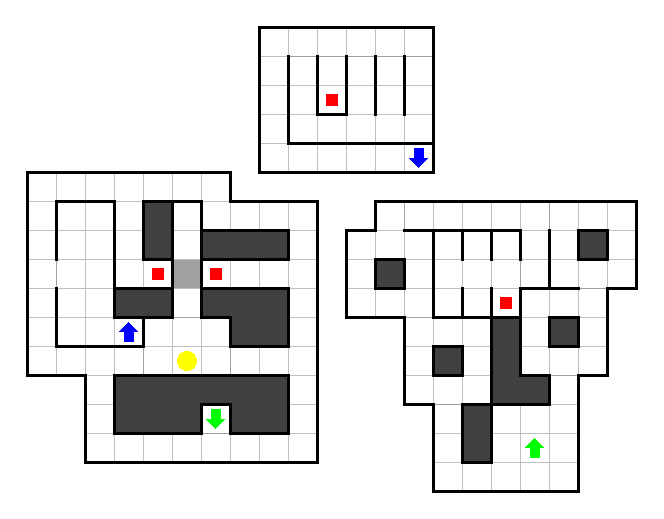 Each level is its own standalone puzzle varying in style, difficulty, and the unique story it wants to tell. The necessity of using dynamic and sometimes opposing strategies propels players through this installment, and the range of style is pleasantly surprising. Players may jump from unveiling a Renaissance painting to chasing after a treasure chest within seconds. It's almost like a Christmastime advent calendar; what will the next piece behold? The levels system keeps the game engaging. One of the most appealing aspects of Monochromatic - and Hoshi Saga in general - is that it plays on diversity in thinking and players' differing strengths and weaknesses. While some levels are intuitive to certain audiences, they may not be to others. Some people have quick reaction times, while others excel at cracking codes. As such, this chocolates box of a series nearly guarantees that one will find both challenges and victories. Without a narrative or typical play method, there's no true way to "learn" the game, and players may even come across red herrings that make them second-guess themselves. Nevertheless, these obstacles are all in good fun and part of the adventure. Monochromatic comes across as a cohesive, refreshing installment filled with ambient vibes and small curiosities. Even if you finish only a few levels, it's still worth a try. Here's an attempt at a more detailed/hinted walkthrough. Thanks to polp54 who provided the above one. The first mouse drag in any stage may reveal coordinates at the top right of the screen, and you can keep them visible on subsequent drags if you don't release the mouse for too long. The coordinates are relative to the non-black game area, with 0,0 being the top left corner and 639,919 being the bottom right. Therefore, even though the game scales to your browser window any coordinate-based strategy will still work. I won't be mentioning them too much because it's very hard to find specific coordinates unless you have good screenshotting tools or a second copy of the game open. You can view the level number by holding down the mouse button on their thumbnail. I'll mark bonus levels (right column and bottom row) with a ! after their number. Hints/interactables are within the first spoiler, and you can skip to the second spoiler for more specific solutions. Drag the dotted piece and release it to launch. What are you launching it at? Goal: make the piece collide with the hanging triangle. Solution: drag it towards the lower right, and release. Drag the bottom-right of the piece to the bottom right corner. Drag the top corner of the piece to 524,720. Interaction 1: turn on the lamp by clicking it. Turn on the lamp and then drag from the bottom-left corner of the beam to the right. This uncovers a larger beam (and star) that approximately represents the actual area you can drag. Drag the end of the grabber and release. Wow, there's a lot of junk to sort through! Would be nice to have some help. 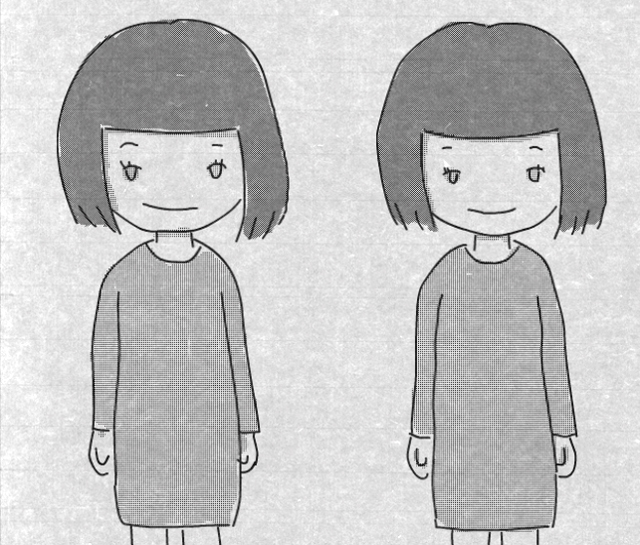 When you hold the end in one spot, the girl may shake or nod her head. Try different spots and release when she's nodding. Note: There's a chance she may not shake her head even if you can pick up junk there. Do you see some thin lines not being covered? Paint over the screen to reveal the outline of a star (centered at about 300,360). Once the star is revealed (make sure all five points are covered) click it. Drag and drop, literally, but there's a trick to it. Goal: drag out a star from one of the shapes. Solution 1: drag only the top parts of all the shapes (you don't have to make a sound with each drop). Solution 2: tap the star parts. Each shape will jump slightly upwards towards your cursor, except for one which you have to drag (the star). Click and drag different spots. Drag the top half upwards and hold it near the top of the screen, locking it in place. Then click slightly below (and inside) the top-left and top-right corners of the remaining piece. Then grab the pointy part and drag up to release the star. Clicking the leftmost hand reveals a star earring. Interaction: click to drop the box in its current column. Fill any row or column incorrectly to reset. Hint: take your time and plan how the star should look. It must cover all four columns. Points of the star are in M, I, L, B, D.
Pieces without corners are N, E, H, C.
Drag from the black areas to draw a line. Drawing a line across the envelope cuts it, discards the top part and ends the level. Goal: don't toss the star! Solution: cut close to the top of the screen. Make each rotated piece point to the top left. Drag and drop to rearrange the pictures. It may be hard to identify the pictures, but they're all Japanese food. Arrange them in the order: sushi, balls, fish, noodles. Result: The initials of Sushi Takoyaki Ajifurai Ramen fall to the ground. Drag to change the kaleidoscope, release to reset. Keep dragging (slowly, do not release) until your mouse is about 600 game pixels from where it started. Lift the teabag by its tag. That pesky barrier is stopping you from dragging the halves together. You'll have to find another way. Drag the left half off the left side of the screen. Now you can assemble both halves on the right side. What do the five circles mean, and what number should be displayed? It's a reference to the upcoming Tokyo Olympics, which are in 2020. Rotate each O clockwise slowly to make it appear. Interaction 1: the treasure moves when you click it, away from your cursor. The wall at 360,770 moves in a similar way when clicked. The chest can't run if it has nowhere to run. Shift the movable wall up and left. Then shift the treasure chest RDDDDDD to the original position of the wall. Then shift the wall right, placing it just north of the treasure chest. Then click the chest to open it. Drag to expand or shrink. If you release the mouse, the screen will slowly shrink back to its original size. After a lot of zooming, a star appears. You only need to click for this, so the difficulty is finding where to click. Maybe the hotspots are marked somehow. Clicking the black spot in the white area (140,520) makes a meow. If it's a white cat there, what does it need? Clicking a white spot (320,210 or 330,280) in the black area releases a black cat (hinted by its paw extending very slightly into the white). After releasing the black cat, click the white cat (black spot in the white area) to move it aside and reveal the star. Click just below the horizontal edge and drag upward to raise the curtain. Do you see it? And if you do, how do you get it? The star is hidden at 150,30, beside the pause button and in roughly the eighth column. Even with the curtain down, you can click/drag the star, which makes a sound. So drag the star down and release it near the line, then raise the curtain to reveal it. You can drag the hands and feet to stretch the cord. It's almost a star! Once the hands/feet have been moved up, grab the bottom horizontal section of cord and drag it to the head. Take note that stairs are not visible. Do you need a map? Common legend: / is wall, . is floor, @ is starting position, U and D are up and down stairs. Doorway arches are not shown. You enter each map facing up (but not when returning from stairs). * marks are inaccessible (invisible wall), 1 and 2 are buttons. , is a thin wall, 3 is a button. Only one button here: 4. Make your way to each of the four buttons and push them. They light up the icon at the top right. Go back to the invisible wall to see the completed star! Interaction 1: drag the number up to reveal a star with the wrong number of points. Interaction 2: click the squares to change the number and the star. Why does this happen, and what's the underlying math? Thus, the easiest way to make a total of 5 points is to enter the code 111112. Dragging makes the sides close in. However, dragging back and forth, away, toward or close to the center has little effect. You need to drag in circles, the larger the better. As long as you don't release the mouse and drag only clockwise (or only counter-clockwise) around the center of the screen, the star will shrink into complete view. Click grid points to mark/unmark them. When you have 10, the lines will shift, deforming the grid. Also, some points get highlighted/locked into place, taking away from your 10 guesses. Some tips: take a screenshot of the deformed grid, and make sure your guesses don't align horizontally or vertically with any locked ones. Bear in mind that each row/column has exactly one point, and the most common interval between points is 3 across and 1 up/down. Mark 0 and 4 on the fifth dots of the top row and left edges. Mark 1 and 9 adjacent to the bottom left and top right corners. Mark 2, 3 which are on a straight line joining 1 and 4. Mark 6, on the straight line joining 0, 3 and 9. Mark 7 and 8, on a straight line from 6. Mark 5 in the remaining spot. Even though you can flick to quickly travel the map, there's not that much actual map and you just wrap around to view the same areas repeatedly. You start just north of an isle shaped like an exclamation mark. Travel south until you find a crescent-shaped island, then travel further south to find the star. Watch the credits, then come back for even more bonus stages. Extra stages! (Click the numbered buttons in the corner to switch between pages.) I'll stop separating hints and solutions when they don't require another spoiler. Same as #1 Tutorial, but the target moves randomly. I recommend dragging a short distance downward to give more hang time. This time, you can't drag the background. Where can you drag? After turning the lamp on, drag the top of the wire to the right. Works the same, but this time the girl is much less help. And just guessing random spots in the ground isn't much better. The star is hidden above ground! Drag the grabber to the left edge, just above the ground (20,490). You can click the top-right ink splat to move it and find a star. As you start searching each piece, something starts happening. Lifting the legs shows that something is clearly missing. So start dragging from deeper in the water, and the star becomes visible. However, it's still attached to the body. How do you separate them? Drag the star high above the water, then drop it and catch the body. Same as the first, but the leftmost earring is missing! It's dropped on the ground, so (after checking the ear) just click her legs to reveal it. Exactly the same as #8, but fail to drop a piece and the whole thing resets, making this possibly the hardest level of the whole game. Memorize the pieces on the right column, as you only have half a second to drop them. You can also practice with the original, or just keep trying until you succeed. The star has been cut in half, so just cut along the same line to make the halves slide back together. This is rather strict, so you may wish to start from the left star corner. Click to rotate triangles; each set of triangles rotates 12 times before reaching its starting configuration, and there are 5 such sets of triangles. After a while, you may notice the same pattern appearing in different rotations and sizes. Focusing on the small triangles in the bottom left, rotate them until their acute angles touch, forming a pentagonal ring with a star inside. This time, the quadrilateral names appear when you drag them, but the initials don't spell the same word. The S must come from Square because no other name has it, and similarly the T must come from Rectangle. This leaves the R from Parallelogram and then the A from Diamond. If you remembered what happened in #11, you shouldn't be surprised that those letters appear vertically above each other. This is an additional hint to the correct order: Square Rectangle Diamond Parallelogram. This time, where you drag matters. The closer to the sweet spot, the better the star. You can find the spot by dragging up and down, noting where the pieces change direction, then dragging left and right from there and repeating. Or you could just read the walkthrough and slowly drag left and slightly up from the center of symmetry until you reach 123,456. Drag the pause button away. Great, now both sides are blocked too! Drag the left piece off the top or bottom edge of the screen, and retrieve it from the opposite edge to reassemble the star. … Olympics were in 1964. The top left wall (120,240) moves to reveal a staircase down. Downstairs, you find more chests. Instead of open ones, you get locked ones and vice versa. So in order to unlock the chests upstairs you need to close the ones downstairs. Close the second chest downstairs, climb up and open the second chest. Exactly the same, but at the end all you find is 戻 (return). Once that reaches a readable size, you can drag towards the center or just wait for the level to complete itself. White and black cats are still hidden in the same positions, but they're both stuck. Why? The white cat on the left is waiting for the black cat on top, which is waiting for a white cat blocking its spot! Click the bottom-right corner (around 520,870) to reveal that cat, then slightly above the middle of the edge to reveal the black cat, then the black spot on the left to reveal the white cat and star. Even easier than the first (just lift the curtain), although there is definitely something going on in that picture. Click every hand and foot the cord connects to. This time, you have to drag the middle person up to complete the star. As a reminder: / represents walls, * represents invisible walls, U and D represent stairs, and you enter each map facing up (but not when you return). In order to keep the maps compact, I'll omit the surrounding walls. Each square still represents one move, so thin walls aren't shown. However, . and o represent different rooms that are separated by thin walls. 1, 2 are switches. = is the only connection between the . and o regions. Switch 3 is only accessible from the north. The = corridor has five doorways, four of which are connected at the south end. = is the entrance, a represents dead ends, and b is the main corridor. So from the starting position turn right and walk 4 steps. Following the left wall, you'll hit button 2, then button 1, then the upstairs. Upstairs, follow the left wall again until you reach the corridor of doors. Enter the second one to find a dead end with button 3 there. Backtrack to the corridor, turn left at the corner and follow the path until you get back down. Now that you're on the original level, continue following the left wall until you get to a junction. Take the right path and then follow the left wall again until you reach a staircase down. Once again, you're back on the original level. Follow the left wall until you can no longer see any right wall; this is the original room. Turn right and go through the doorway in the middle of the wall to end the stage. Exactly the same as #22, but this time you don't get buttons to control the numbers. Instead, the numbers just show the current 24-hour time. If my math is right, the longest you might need to wait is from 23:59:49 to 00:12:22 or 08:00:00 to 08:12:22, just over 12 minutes each. Exactly the same as #23 but you only have six seconds to do it. Also, it's considerably harder to squeeze. You still have to draw large circles, so laptop users may want to use both hands. Exactly the same as #24, but now the star's rotation is randomized and you only have ten total tries. No extra help here. Make the best use of screenshots and logic. Exactly the same as #25, but an obviously different map that's much larger. One hint: explore the starting shoreline, and you'll get a good idea of how wide the map is. Northeast of the starting point, you find some swirly black islands in the white sea. The nearest (also longest and most wiggly) of them has three westmost shores, all vertically aligned. Go directly north from those westmost points until you see white again: a peninsula with east and west beaches against a black sea. Once you have the beaches in view, go directly west until you see the star.